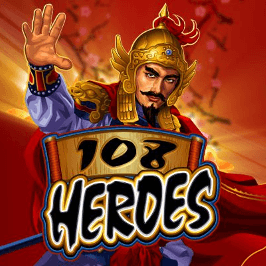 108 Heroes slot machine is a martial arts-inspired online slot based on Shi Nai’an’s 14th-century tale of the 108 Stars of Destiny. It has five reels and 15 paylines, and is made by well-known software provider Microgaming, who has packed it with more action than a Bruce Lee film. Read through this 108 Heroes review to hear of the mythical stories behind the video slot. 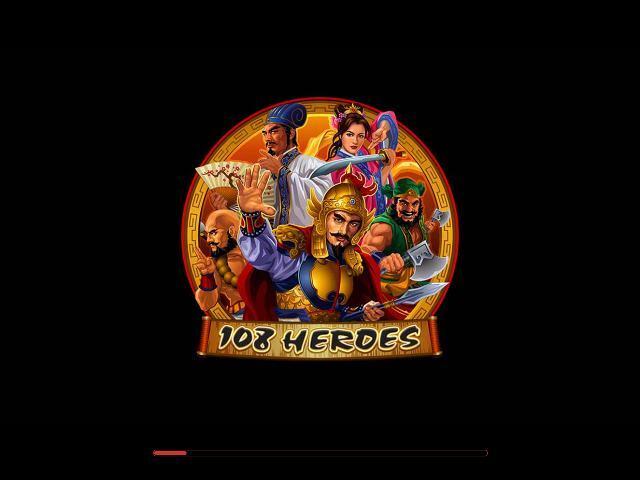 Play 108 Heroes for Real Money! 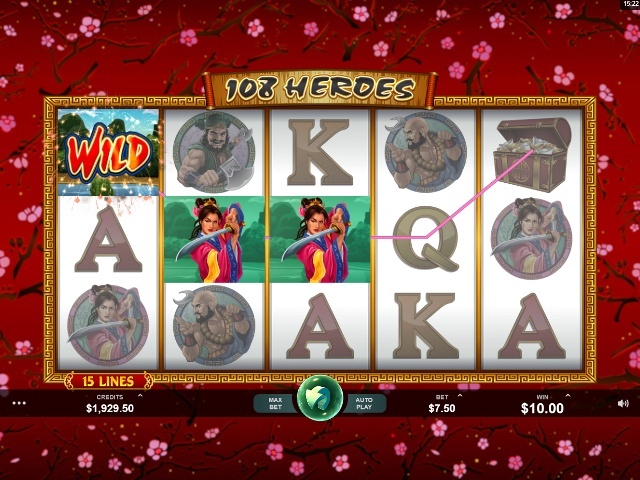 The reels in 108 Heroes are framed in gold Chinese decorative patterns, set on a background of cherry blossoms in full bloom. All the classic tropes of a period martial-arts movie are present, right down to the up-tempo Eastern music that raises the level of excitement when playing the game. Software provider Microgaming has delved into ancient Chinese lore, with the developers inspired by the story of the 108 Stars of Destiny, which represent demonic overlords reborn on Earth to fight for good. In movie adaptations they’re also known as bandits, forming an army at China’s Mount Liang. The video slot casts them as both – a ragtag of warriors seeking treasure while they right the wrongs of the land. These generous heroes also offer a handsome return-to-player (RTP) rate of 96.56%, meaning you’ll come back to Mount Liang for more. Only five of the 108 heroes actually appear on the reels, along with standard card symbols K, Q, and A. The warriors are beautifully animated and easy to differentiate by the colour of their clothing or armour. The hero wearing the gold helmet is the one to keep an eye out for, with a full reel of him worth 500 times the coin bet. The game’s logo also acts as the Wild symbol, and can be swapped for all the other icons save for the Scatter and the Bonus symbol. The Wild can form its own winning paylines, with five of them worth 7,500 times the coin size, or 500 times the bet on all 15 paylines. The Scatter symbol is a green window with purple Chinese writing on top and will transform paylines if there are two or more present anywhere on the reels. However, to trigger the Free Spins round, you must land at least three of the Scatters. You’ll not only be gifted with 10 free spins, but any wins struck during the free spins will be rewarded with a three-times multiplier. Free spins can also be retriggered during the Free Spins round, meaning you could win up to a £120,000 jackpot. 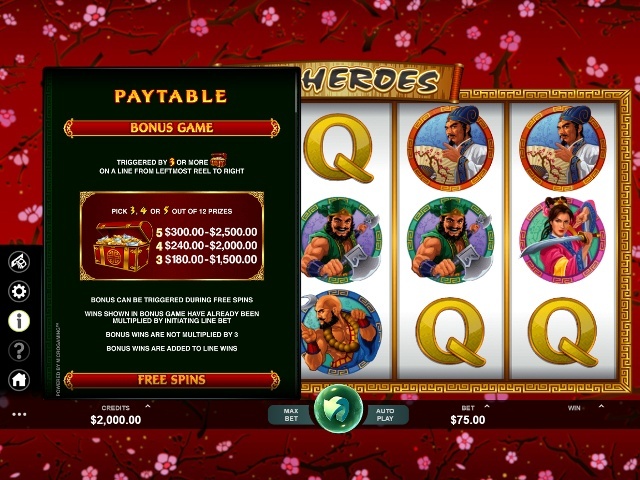 In addition to the Free Spins and Scatters, there’s the separate King’s Treasure bonus game that players can reach by finding three or more of the treasure chest symbols on a payline. Players will be whisked off to another game screen with 12 treasure chests to choose from. You’re able to choose the same number of chests that originally activated the bonus game, and win all the cash you find inside. The King’s Treasure bonus game can also be set in motion during the Free Spins round. Share this 108 Heroes Review today! If you like 108 Heroes, you'll love these slot titles too!